View from B.R. Cohn Winery. My brother and his family were in town a few weekends back. The ladies ended up spending a few days in Santa Cruz, while the guys – myself, my brother, his 15 year old son – otherwise amused ourselves. 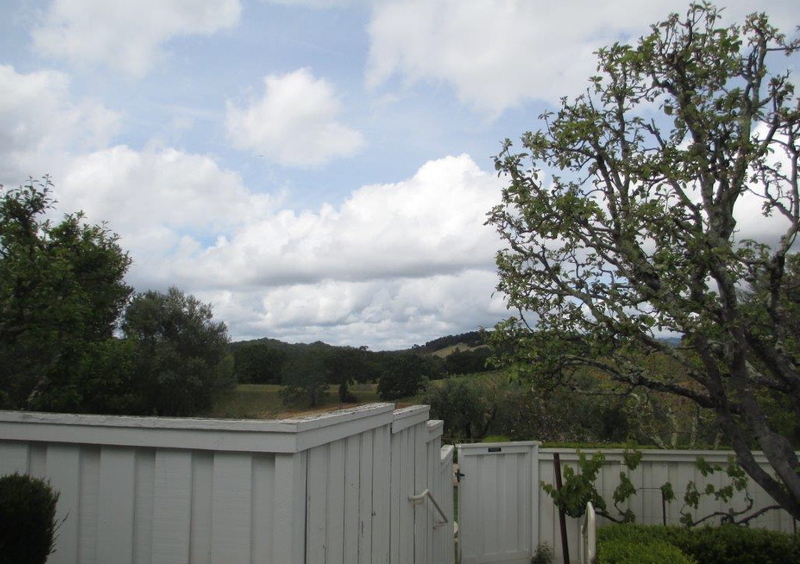 One of our side trips was up to Sonoma County, eventually to see my kids and grandkids. On the way we stopped in the city of Sonoma for lunch (Murphy’s Irish Pub, down an alley off the main square, great food and vibe) and then at B.R. Cohn Winery in Sonoma Valley. Doobie Brothers platinum records behind the tasting room bar at B.R. Cohn Winery. Bruce Cohn was and still is the manager of The Doobie Brothers band, from the beginning of the band’s rise to stardom. This was music my brother and I grew up with as teenagers in the ‘70s, listening to China Grove, Long Train Running and the numerous other hits. 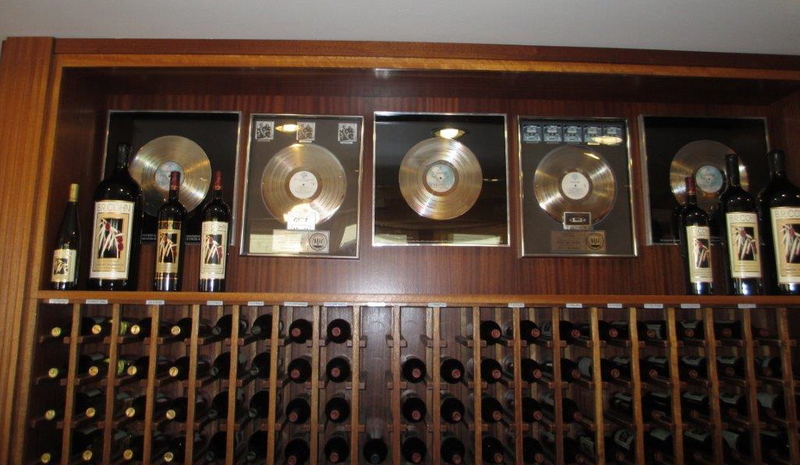 There are a few platinum records mounted above the tasting room bar. Well, Bruce bought the land the winery is on in 1974, and started making wine in 1984. The land originally had olive trees on it, and still does, with olive oil being made, sold and tasted at the same location as the winery. B.R. Cohn Winery tasting room in Sonoma Valley. B.R. Cohn’s focus is on Bordeaux varietals, especially Cabernet Sauvignon and blends. I find it difficult to buy Cabernet Sauvignon: It’s usually expensive, you want it to age to get better, and yet it’s a bit of a guessing game as to how well the wine will age. So most of the time I ignore the Cabs and go for the Pinot Noir and Zinfandel as reds, with the occasional Syrah, as I’m not taking as big a risk. [Thus the lack of Cabernet Sauvignon related posts in this blog.] My brother and I both made an exception to our no-Cabs rule at B.R. Cohn. First, the Cabs were good, really good, and showed every sign of being age-worthy. Second, the winery has been around for a number of years, and wouldn’t be doing so well if they didn’t put out a good bottle of wine. Third, their wines are not overly expensive. 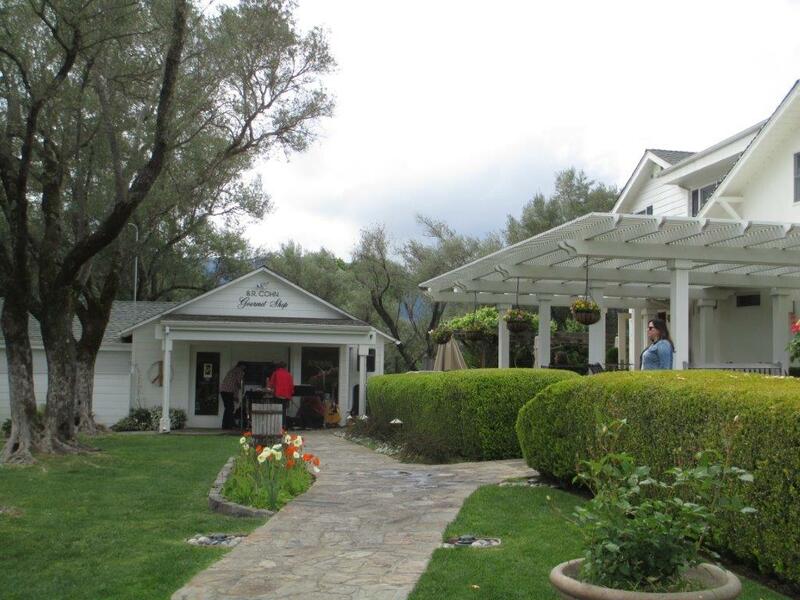 Our favorite was the 2010 Olive Hill Estate Cabernet Sauvignon, with grapes grown from the vineyard just in front of the tasting room, which retails for $69. Very good wine, very good value. The Gourmet Shop at B.R. 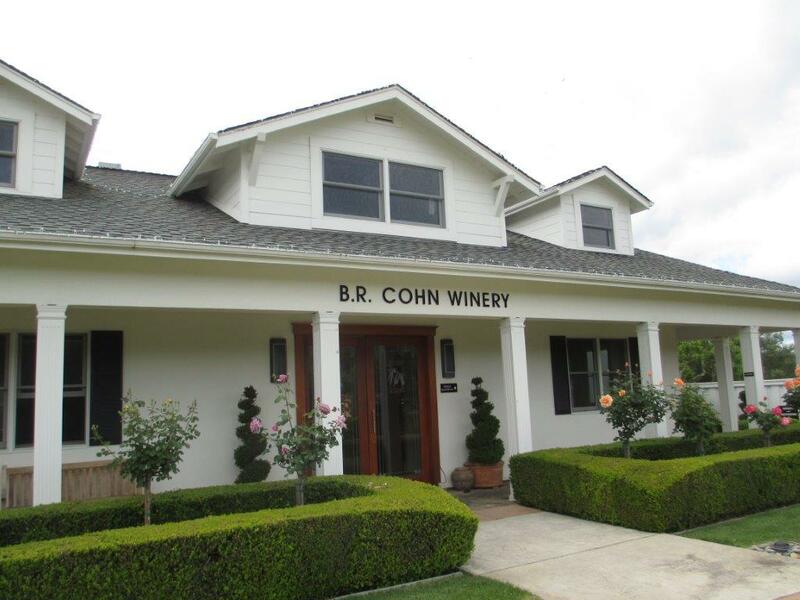 Cohn Winery features estate olive oil. By the way, we also each bought a bottle of the 2012 Doobie Red, a drink-now Cab with some of the proceeds going to Veteran and other charities. I’ve already opened my bottle, and enjoyed it immensely. Thanks also to Linda for her excellent help guiding us through the tastings. It was a great tasting experience, and now on my list of wineries to recommend, especially to Cab lovers. Bruce also puts on a charitable music festival each year. This year the lineup includes Chicago, America, Ringo Starr, Todd Rundgren, Gregg Allman and of course The Doobie Brothers. For more information, see 2015 Sonoma Music Festival. Hope to see you there! This entry was posted in wine tasting and tagged BR Cohn, Cabernet Sauvignon, Doobie Brothers, Sonoma Valley on April 26, 2015 by vvblogman.